The Titleist 818 hybrids feature SureFit CG weight along with SureFit Hosel adjustability to give you maximum shot shape control. The Active Recoil Channel 2.0 generates faster ball speed to produce a significant advantage in carry distance making the 818 Titleist’s longest, most consistent hybrid ever. The optimally positioned, deep CG offers more forgiveness and stability while the SureFit Hosel provides 16 independent loft and lie settings to optimize consistent center-face contact. The 818 H1 hybrid is for players with a sweeping delivery to the ball and prefer the look of a fairway metal. 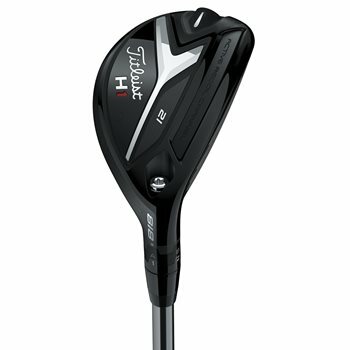 High launch, easy distance, and tremendous forgiveness position the H1 as a scoring club, not a rescue clubs.